1. 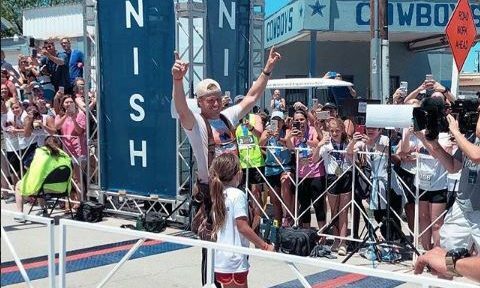 Show up: Sometimes support is as simple as just being there for your partner, just like Joanna Gaines attended Chip’s marathon. Your presence alone does a lot to empower your partner to succeed. 2. Be there to listen: Support comes in many forms, and being there to listen to your partner is one of them. Being someone your partner can count on to talk on their feelings is extremely helpful and supportive. 3. Offer help frequently: Make sure to lend a hand whenever you can. Even if your partner says “no” once, be sure to keep offering to help out so that he or she knows the offer is still on the table and doesn’t feel bad asking. What are some other ways to show your support to your partner? Share your thoughts below.